Decorating glassware is our speciality. Image on Glass can help enhance your brand and packaging design by utilising a waterslide transfer which is then fired onto the glass creating a premium and permanent design which cannot peel, crease or be damaged by water. 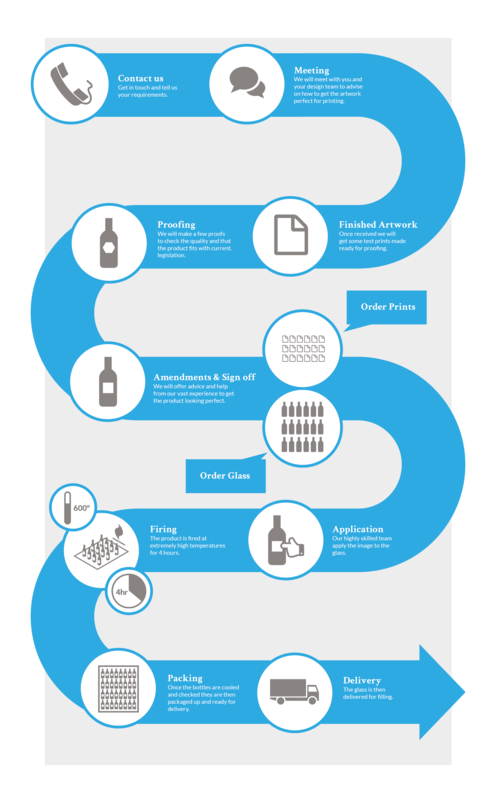 This process can be applied to almost any bottle shape or size as well as any accompanying glassware you wish. From single to full colour, precious metals to etch effects the decoration possibilities are endless.